Access -- one of the many key elements to making a commons. Access to clean water sources, access to decision making processes, and access to information and communication. 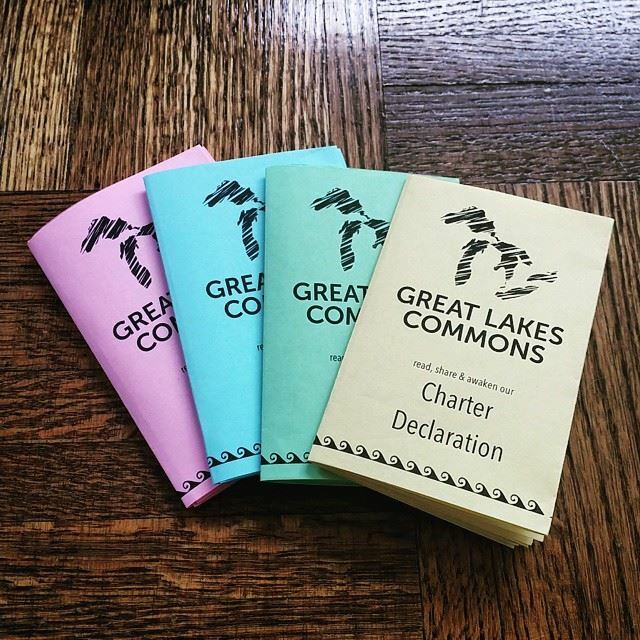 One simple step in making the Great Lakes Commons Charter more accessible is making a pocket version -- done. Perhaps you can download the original, print copies (colour looks nice), and share with your friends? Here's a 30-second video on how to convert your print into an 8-page zine. When ready, we would be grateful for your Charter support publicly through our website. Keep us posted about your success with this pocket version.